Aari work is a type of embroidery which is done on a stretched fabric and stitching the design with a long needle which has a hook in the end. The needle technique origins from the mocha community who use this type of needle to stitch intricate patterns on leather footwear. 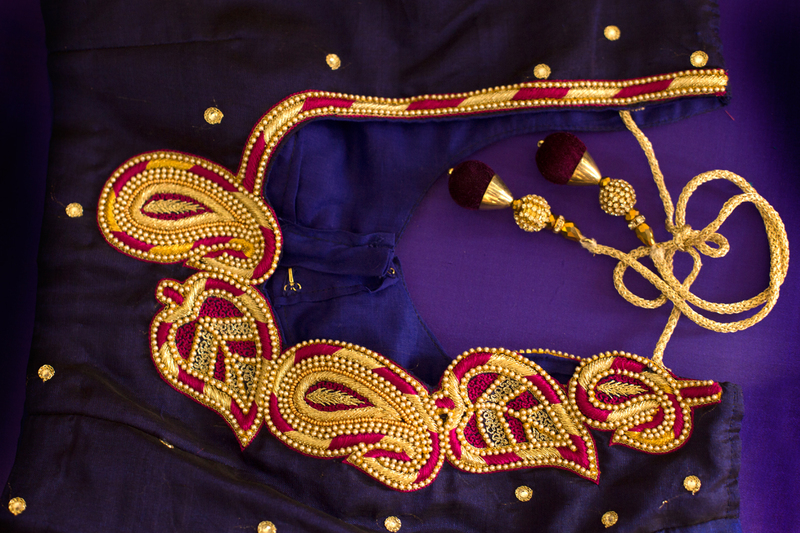 The needle is named as Aari, from which the embroidery work derives its name as Aari work. 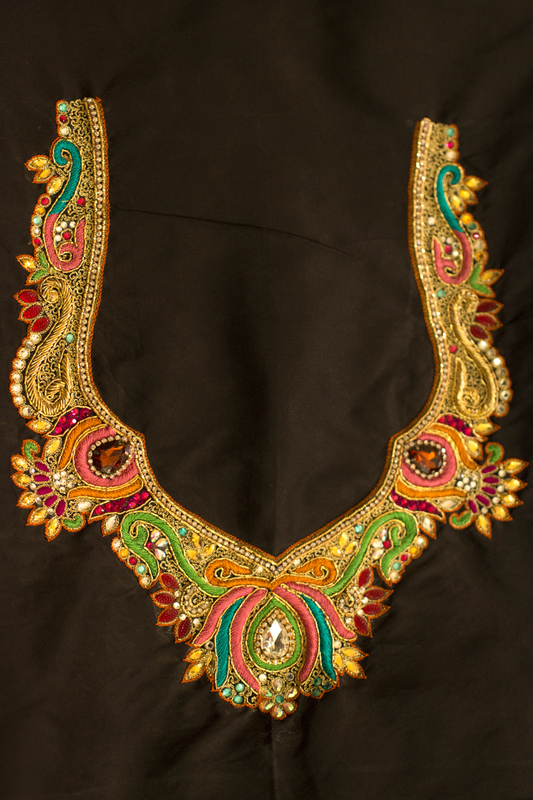 This work consists of beads, stones, golden and silver threads which gives a royal richness to the design. 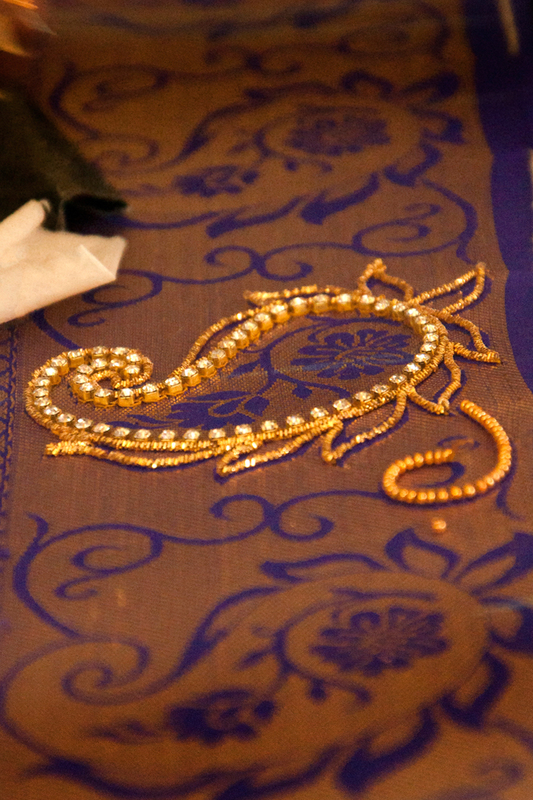 Aari work is known for its elegant thread work that enhances the gravity of hand embroidery. 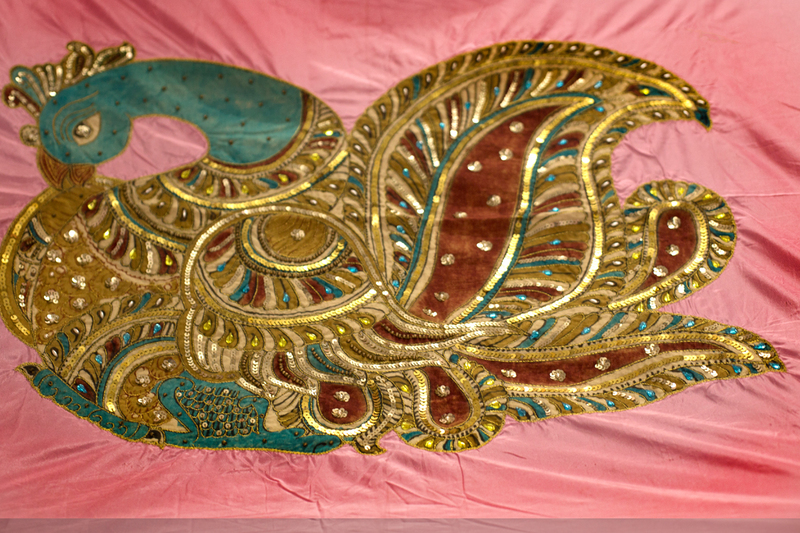 Aari work has marked its existence from 12th century i.e. from the time of Mughal ruling. With time the work has spread to places like Lucknow, Uttar Pradesh, Rajasthan, Gujarat and other places who added their touch of traditional design and recognized the specialty of the work. Sliding from the families of the ruling kings and the queens, today, the craft can be seen on any teenager’s cap or top, with the traditional gear of various states, like sarees, chaniya cholis of a bride or on festive attire. Like other States this work has made its mark even on south of India. 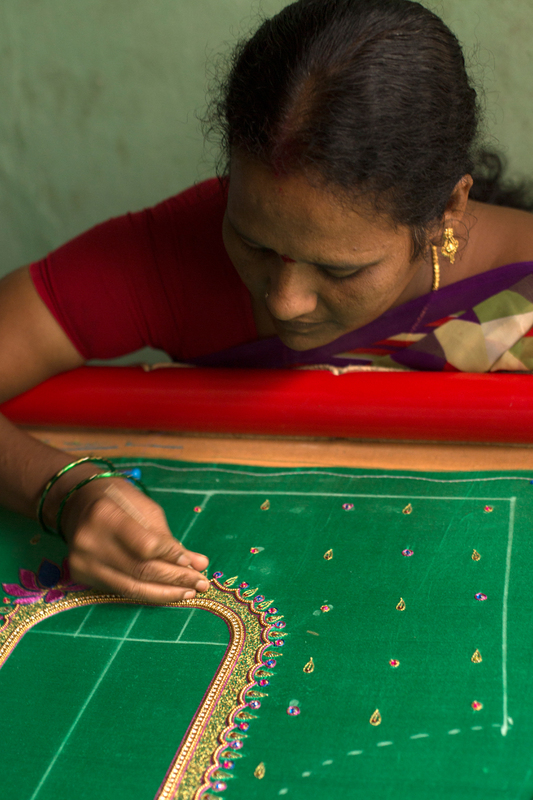 Skilled workers use the aari work to enhance the famous silk sarees of south. Srikalahasti a holy town in Andhra Pradesh also locates the richness of aari work. Group of women who learned the traditional art teaches other house ladies and give them a chance to make their living better by earning some amount. 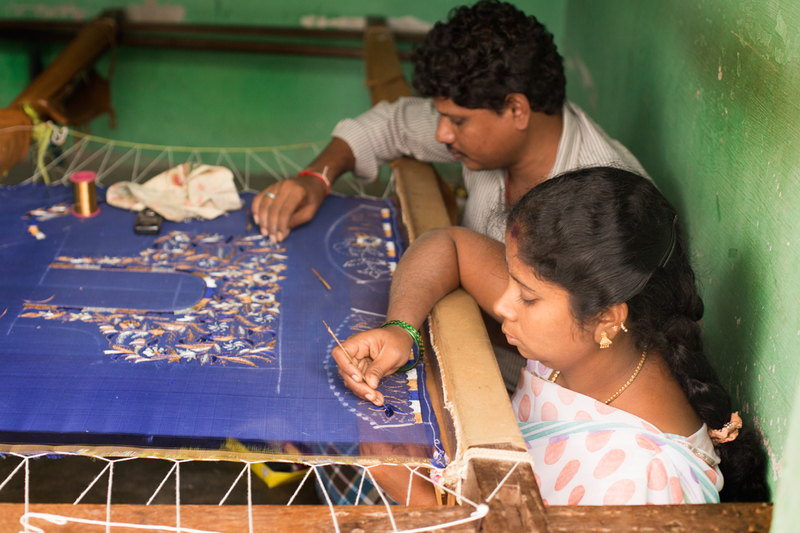 They are involved in embroidery, aari work and stitching of clothes. 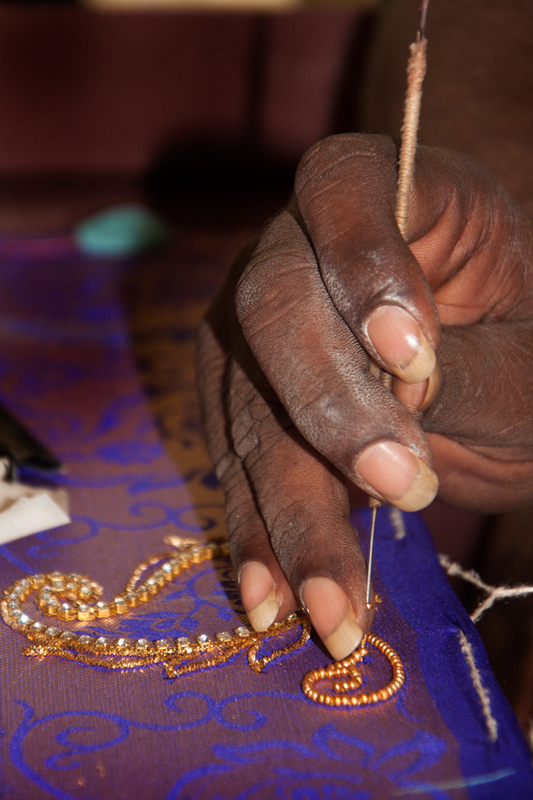 This small institute of artisans is recognized by the government and also being supported for marketing their products.